160 pages | 14 B/W Illus. Have you ever wondered what the Montessori approach is all about and how it can be used to benefit the young children in your setting? This book explains how the Montessori approach works offering guidance on planning and assessment methods alongside practical activities for practitioners to try. Throughout there are practical examples involving children of different ages in a wide range of settings to show how Montessori principles have been implemented. . 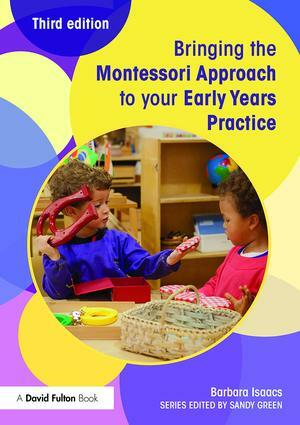 This convenient guide will help early years practitioners, students and parents to really understand what the Montessori approach means to their setting and children. This accessible series introduces some of the most important early years philosophies and shows how aspects of them could be incorporated into your setting. Examples of what each individual philosophy looks like in practice.